A collection of Life's moments: Sunday Runday 5K !! This weekend was a super hectic one with multiple plans in store. I had a 5 Km run this week. Even with a fun weekend and the weather getting so cold these days, i managed to squeeze in my 5Km run. On Sunday i t seemed the coldest day ever. We had been out for a movie on Saturday along with some cheat meals. So this made me all the more difficult to get up early for the run. The temperature was around 14. I had some guests coming in for lunch. So we had to clean our home and prep food for them. So i just wanted to get done with my run and be back. I quickly changed from my PJ's, put on my head-phones and went out. The run started out rough! All the burgers and fries that I had on Saturday, made me feel totally bloated and i could sense a difference in my run. Initially it was very cold outside but as I started to run, it started getting warm. The music and the warmth gave me a good kick-start and i ran my way through my regular running route. I crossed half way at 2.5 Km and made my way back again. 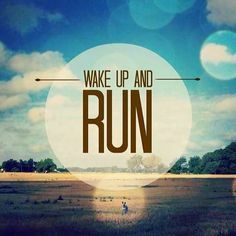 I just love my playlist as it keeps me pumped and sets a good mood for the run. I felt very good despite the weather conditions. Finally i completed my 5Km run in 38 minutes !!! Linking with Healthy Diva Life, Running and Reading, Her Heartland Soul, and Life of Meg !! Oh, my gosh; I can imagine that it would be tough to get out in 14 degree weather, no matter what you'd eaten the day before! Way to go!! Thank you so much for linking up with the blog today; I hope you have a great week! So true !! Thanks for the wonderful linkup ! !